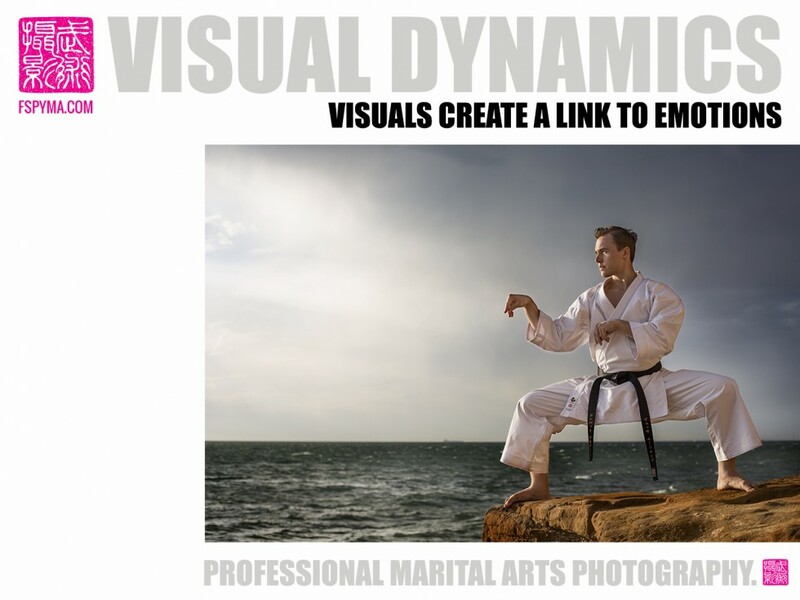 VISUAL DYNAMICS 4 * * IS YOUR CONTENT WORTH SHARING? For you as creator of content for your website and social media it means that you have a lot of influence over how people react to your content and how they perceive your academy. Let’s look at an example of reactions you can get from a new potential student who visits your page because unless it is a walk in or a referral, the first point of contact with this person will be online. Opening your page should feel & look like stepping into your academy. The viewer can CLEARLY see the premises, the instructor, students… You are creating the first emotional responses that should be EXCITEMENT, TRUST, FEELING SAFE, CURIOSITY, WANTING TO BE PART OF IT…. The potential new student can RELATE TO to students (white belts) which makes her feel safe (she won’t be the only beginner) but it also creates a MOTIVATION to be like the black belts in the photos who are REAL people at this exact academy. Now when that new student actually does step into your academy, they FEEL SAFE – because the photos on your website reflect the reality, they feel like they have already been here. You are holding true to what you “promise” on your page. They might even recognize a few students from the photos and most importantly, they know straight away who the instructor is and who to go talk to. They DON’T FEEL LOST. This is also why it is very important to keep the visual content of your pages up to date. It should always reflect the feel and look of your academy right now. I suggest yearly updates of all photo material. Your communication should be simple, concise and evoke the emotions you want viewers to feel. Since our brain processes images much faster than words, photos will create the initial emotional bridge to a new visitor on your page. Now imagine if your photos are dark, blurry, inconsistent, uninviting, generic or worse – if there aren’t any. What kind of emotions will this evoke in a viewer? It is entirely in your hands to create the correct environment on your page.